From sightseeing to outdoor sports, find all types of things to do outdoors in Brooklyn. Make the most of the warm spring and summer days by taking advantage of these Brooklyn outdoor activities. Search for the most fun outdoor activities Brooklyn has to offer. Whether you're looking to bike over the Brooklyn Bridge or search for other cool biking in Brooklyn, Fun New York is your go-to guide. Pedal your way through the borough as you behold exciting NY attractions by taking advantage of one of these Brooklyn bike rides. 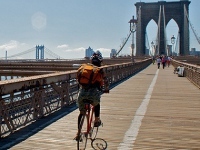 Find the nicest brooklyn bike paths that will guarantee a peaceful ride. Are you in the mood to go boating in Brooklyn? 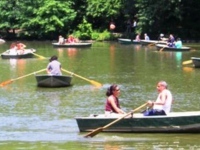 Search our comprehensive brooklyn boating guide and find a slew of great places to go canoeing, kayaking, etc. Experience the finest Brooklyn boating on some of the nicest lakes and rivers in the state. Enjoy the best horseback riding Brooklyn has to offer at one of these great stables in the borough. Search for fun horseback riding trails in brooklyn that will be fun for the entire family. 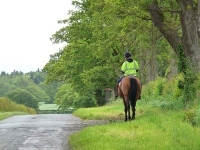 Read detailed reviews on an array of places to go horseback riding in brooklyn. 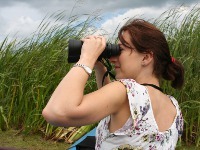 From bird watching to fishing, see the many outdoor leisure activities Brooklyn has to offer. If you aren't looking for something very active but still want to enjoy the outdoors, see this list of leisure activities in Brooklyn. See our complete list of Brooklyn paintball venues. Read detailed reviews about paintball places in brooklyn. 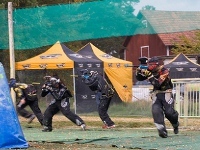 Find addresses, phone numbers, websites, and other information about places that offer paintball brooklyn.